We have been building new homes for more then four decades, and offer our Homeowners a home building experience like no other. 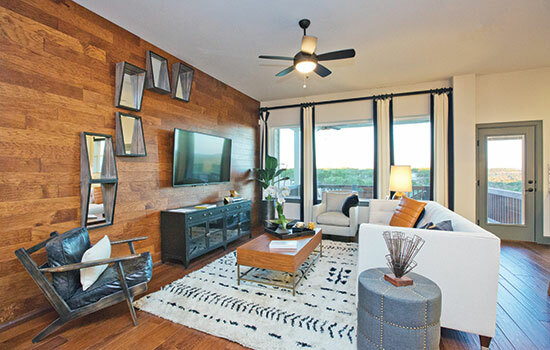 When you build your David Weekley Build on Your Lot dream home in Austin, know that you are getting Innovative Design, Incomparable Choice and Inspired Service – every step of the way! There’s a lot that goes into building a new home. 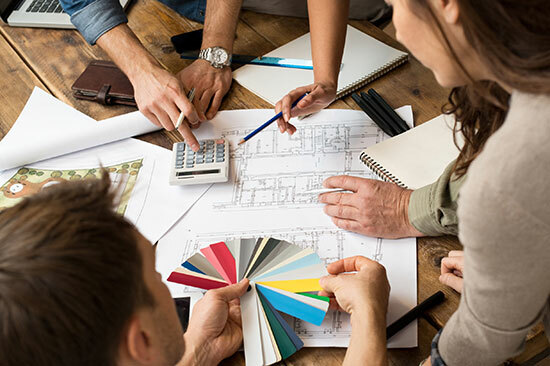 From selecting the floor plan, choosing the layout and finding the right design options and upgrades for your family’s new home, it can be challenging. David Weekley Homes has the talent, expertise and resources to see your new home project from conception to completion and beyond. We have hundreds of floor plans to choose from, and our Build on Your Lot experts know the ins and outs of our plans. With the flexibility to change and add features as you see fit, we’re confident we have a floor plan for you! We are here to help you choose and personalize a floor plan to fit the way you live. In addition to our hundreds of unique floor plans to browse through, a David Weekley Homes Build on Your Lot professional can help you take a floor plan and customize the interior and exterior of your dream home. Nothing is more important to us than Customer Satisfaction, and nothing makes us happier than seeing a Homebuyer’s dreams become reality! At David Weekley Homes, we have actual model homes built for you to tour and see for yourself just how well our beautiful custom homes are built, as well as see the attention to detail and solid construction that goes into a Build on Your Lot home. Ask a Sales Consultant for more information about locating our model homes. From elegant flooring and attractive cabinetry to versatile countertops and dependable appliances, our Design Center in Austin has a variety of choices that are sure to jumpstart your imagination. Plus, your personal Design Consultant will help you choose from thousands of Custom Choices™ and coordinate the finishing touches to turn your new house into the home you've always wanted. There are many steps that go on behind the scenes before we can build your new home. And, these are all standard services with David Weekley Homes! Let the David Weekley Homes Build on Your Lot Team help you evaluate the lot you have already purchased. We have more than 40 years of experience evaluating land and can help you find the ideal location for your new home. Our land consulting services include floor plan recommendations, septic or well requirements and site cost evaluation. The Build on Your Lot program offers demolition services of an existing structure. There can often be a lot of red tape involved in removing a structure from your land. From securing necessary permits to debris removal, we will take care of all the details! To eliminate surprises, David Weekley Homes provides you with fixed pricing from the start so there aren't any questions about how much you will pay to close on your new Build on Your Lot home! 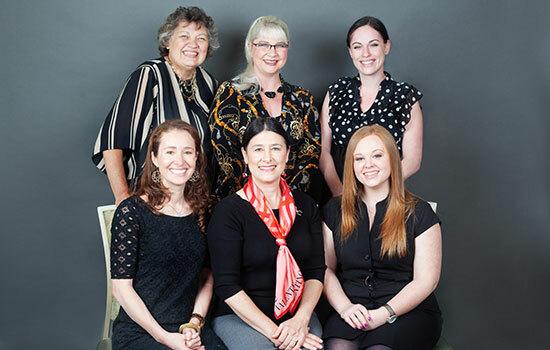 Our Team will explain the total cost of your home before you sign anything. We have relationships with Preferred Lenders, to ensure that our Homeowners can receive information and advice when it comes to financing their new David Weekley home! Our Preferred Lenders offer mortgage lending services and a wide variety of loans. A Loan Officer will work closely with you to determine the best financing options for your specific situation. They will guide you through the entire process, from initial application through the closing of your new home. From foundation to final inspection, we want you to enjoy the process of building your new home. When you have questions, your Personal Builder℠ has the answers! They’re responsible for keeping you informed throughout the home building process. Depending on the construction stage of your Build on Your Lot home, you’ll meet up to four times with your Personal Builder: at foundation, framing, drywall and final walk-through. It’s just another way we personalize the home building experience and offer great Customer Service to you. Want to keep up with your home’s progress anytime? When you sign your contract, you will be given access to your buyer website, MyDWHome.com. On this site you can view photos of your home during the building process, schedule design appointments and even schedule warranty service appointments after you’ve closed on your home! Our construction professionals inspect the construction and quality of your home at different stages by the jurisdiction in which the home is built. Your home must pass each inspection before construction can continue. 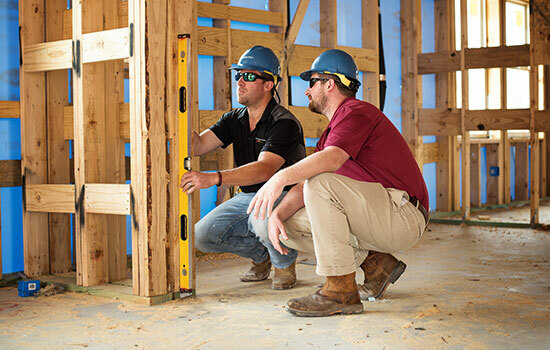 In addition, David Weekley Homes has professional, third-party inspections performed on foundation, framing, mechanical systems, all plumbing systems and all energy components. This is to verify that we are building your new home to code and have met all the necessary standards. Our EnergySaver™ homes undergo additional inspections, specifically designed and monitored by Environments For Living® for energy-efficiency certification. Keeping our promises is important, which is why we take communication seriously. Our commitment is to keep you informed during each step of the building process. Your Personal Builder will contact you regularly to update you on progress, while MyDWHome.com will allow you to check in on the building process at any time! The most important part of our relationship with Homebuyers comes after they’ve moved into their new home. At David Weekley Homes, we’ve dedicated an entire department to our industry-leading, multi-level, in-house warranty program. We know that what happens after closing is the most important stage of our relationship together. If you can’t depend on us to stand behind our work, we’ll never have another opportunity to work with you. Our skilled Warranty Service Team is standing by to help you resolve any construction or maintenance issues that might arise. During the first year, you’re covered by our one-year limited warranty, plus the appliance manufacturers’ warranties. Our two-year mechanical systems warranty covers plumbing, electrical, central air conditioning and heating systems. Your peace of mind is what matters most – with David Weekley Homes, you’re not forgotten after construction is finished.